Do you want to learn more on Aries and Gemini compatibility? Then you have just come to the right place. Check it out. Before talking about the Aries and Gemini compatibility, let’s learn a little more about each of them. Gemini is an Air sign with a very friendly personality. Aries is a sign of the element Fire and it has an energy that sometimes seems not to have an end. A couple formed by Aries and Gemini is actually a very compatible one. Gemini manages to stir the fire of Aries. If the negative aspects of their personalities are worked out, the temperaments of these two signs can actually complement each other. It is important that the positive aspects as reinforced so that they can achieve a lasting bond. 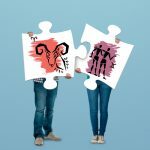 Aries and Gemini Compatibility: how will the relationship work? Aries is a sign that has in fact a difficult personality. This means that then a person born under the sign of Aries when is expressing on the negative side is extremely selfish. This can naturally bring some difficulties to the Gemini partner. Geminis are very spontaneous and their circle of friends is quite large. The couple of Aries and Gemini may face some conflicts. Gemini’s spontaneity can be an issue to Aries, as he can feel as if he is losing control of his partner when sharing with so many friends. Gemini takes full advantage when in a relationship. The restless nature of this sign requires that the relationship needs to be fun. Aries, on its hand, needs to always be the first in the partner’s life. As Gemini is a mutable sign, this relationship can actually last long. The way Gemini adapts allows it to be tolerable with the impulsiveness which is very characteristic of Aries. Gemini is a sign that is very likes to communicate with others. His communication is fluid and very intellectual. Aries is the initiator and the way they relate is determined when they communicate. Aries is extroverted and expresses his nature by constantly making Gemini laugh. This couple can have a relationship where they both share friends as in their relationship. This is an aspect that actually acts in favour of the Aries and Gemini couple, as it will make this relationship fun. Gemini feels thrilled by his Aries jokes. He likes to have fun at all times. His good humour makes him an excellent talker. They enjoy intimacy at all times based on Aries’s passion for his partner. Gemini will feel complete because his partner makes him happy in everything that goes through his restless mind. This relationship can be strengthened over time and be very durable.